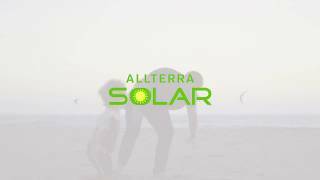 Allterra is the regional leader in residential solar. Our award-winning product and service offering is why more homeowners choose Allterra than any other company. All you have to do is say “yes” and we handle the rest. Electricity rates continue to rise, while the costs of solar is at historic lows. Eliminate increasing electricity expenses by switch to solar today! Bonus depreciation and federal tax incentives remain intact for businesses who are ready to cut operational costs and secure their energy future. Our commitment to the customer and technical ability are why Tesla selected Allterra to be a certified installer of the Tesla Powerwall throughout the Central Coast and South Bay Area. Get a complimentary analysis for your home or business now to determine how battery storage will cut costs and enhance energy security. At Allterra Solar, we pride ourselves on doing what’s best for our clients in Santa Cruz County and throughout the Central Coast region. As a referral-based solar installation company, our reputation and customer service is what keeps us growing. In our 15th year in business, our dedicated installers, technical support team, and design consultants have made us the local leader in solar. Our transparent design and build process and open communication with our clients helps us provide the best service possible. The team at Allterra Solar has the experience and knowledge to maximize your system’s performance and return on investment. With thousands of successful installations under our belt, Allterra has developed an industry leading product and service offering that delivers high quality and peace of mind. A major part of Allterra’s success has been the team we have assembled and retained. Allterra is comprised of over 35 people who are passionate about solar and the community in which they work. Additionally, Allterra was awarded “Best Place to Work” by the Monterey County Business Council. Allterra sources the highest quality equipment to ensure that we deliver solar systems that are built to last. Combining the best materials on the market with talented designers, engineers and technicians leads to exceptional results. Our systems consistently exceed production estimates and client expectations. Allterra has completed thousands of successful installations throughout the Central Coast and Bay Area. We encourage home and business owners interested in making the switch to low cost clean energy to look at our third-party reviews and peruse our interactive installation map. There’s a good chance someone in your area has gone solar with Allterra! Homeowners can save thousands of dollars by switching to solar power. If you’re a residential homeowner, you know that every year utility companies raise electricity rates. But with high-efficiency solar panels installed on your home, you will have a consistently low electric bill for decades. Take control of your energy future and save money by installing residential solar. You can own a solar power system for $0 down. Allterra Solar has partnered with Oakland-based solar lender, Mosaic, to provide low-interest solar loans to our clients. With interest rates as low as 3.99%, now is a great time for homeowners to go solar. Why Should You Choose Allterra? From day one, Allterra's goal is to provide you the best customer experience. We make going solar easy & enjoyable. We offer an industry leading Next-Day Service Guarantee that provides peace of mind to our customers. If there is an issue with your system, we'll be out the next day to fix it. We stand behind our work and the equipment we install. Our workmanship warranty covers system construction, including mounting the solar to your roof, and our equipment manufacturers provide industry best warranty coverage, including parts and solar panel performance. Allterra services the greater Central Coast and South Bay Area. We perform solar install projects as far south as Monterey County, as far north as Half Moon Bay, and in Santa Clara County. See a Map of Our Installations. Valuable Tax Incentives Expiring Soon Under Trump Administration. Don’t miss out on the Tax Credit that puts money back in your pocket. Right now the Federal Government will pay you you go solar. This program is only around for a limited time and by 2020 will begin to expire. The Tax Credit turns solar from a good deal into a great deal. This amazing deal will be gone before you know it so start the process of going solar today! Ready For a Competitive Quote? We will discuss your home, energy needs, future goals, and any concerns about solar you may have in a quick interview process. We’ll evaluate a few designs, verify the most advantageous way to go solar, and a consultant will explain solar options with you at your home for free. Typically, our clients appreciate our recommendation of purchasing solar equipment, receiving the IRS Tax Credit, and moving to a Time of Use Rate Schedule where you bank electricity credits by day and buy cheap energy by night. Santa Clara County, Santa Cruz County, Monterey County, San Mateo and San Benito County. All of 831, 408 and 650 area codes. Learn more about a career in solar.